Our favorite local art supplies store held a free Pen and Ink Demonstration this morning, led by artist Tony Guaraldi-Brown. Mama and I enjoyed learning about the various techniques and materials used in his incredibly detailed illustrations. Our small class was lively and full of thoughtful questions. We appreciated Tony’s approach to making art, and we found him relatable and authentic. This style of art is time intensive, but he was able to convey a thorough lesson in his quick sketches (bottom left pic). Mama is eager to test out vertical hatching in her own work, and I’m looking forward to experimenting with the different nibs and inks. Today’s #OneGoodThing was going to an art demo with Mama! 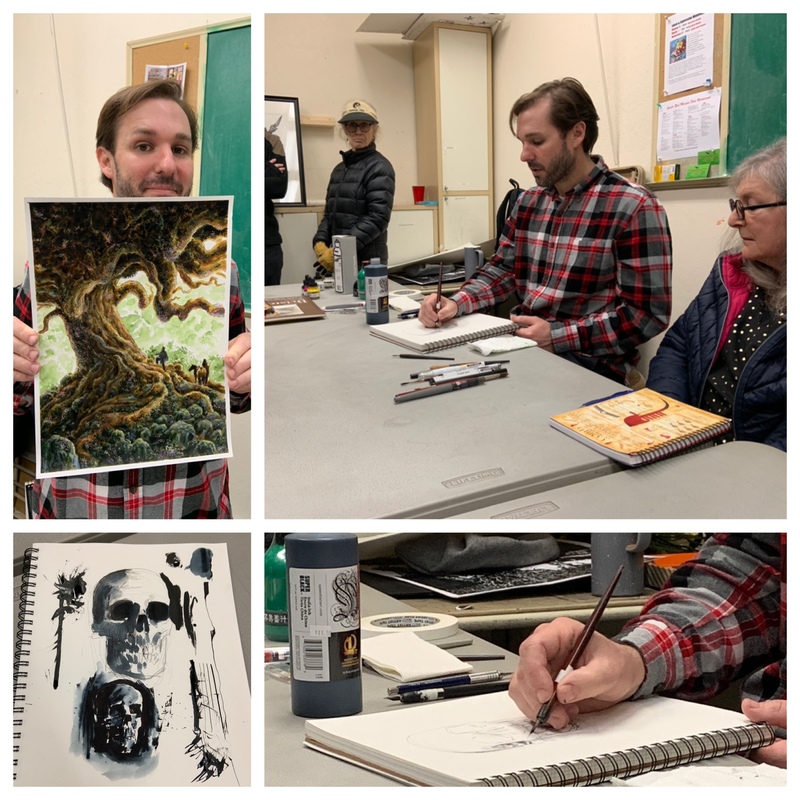 For interested locals, RileyStreet Art Supplies will soon be offering classes by Tony Guaraldi-Brown and we couldn’t recommend him more highly! What was your #OneGoodThing today? Please share in the comments! Day 47 of 365. And Day 1,143 in a row (here’s the first 366, & the following 365, & the third year of 365 good things)!